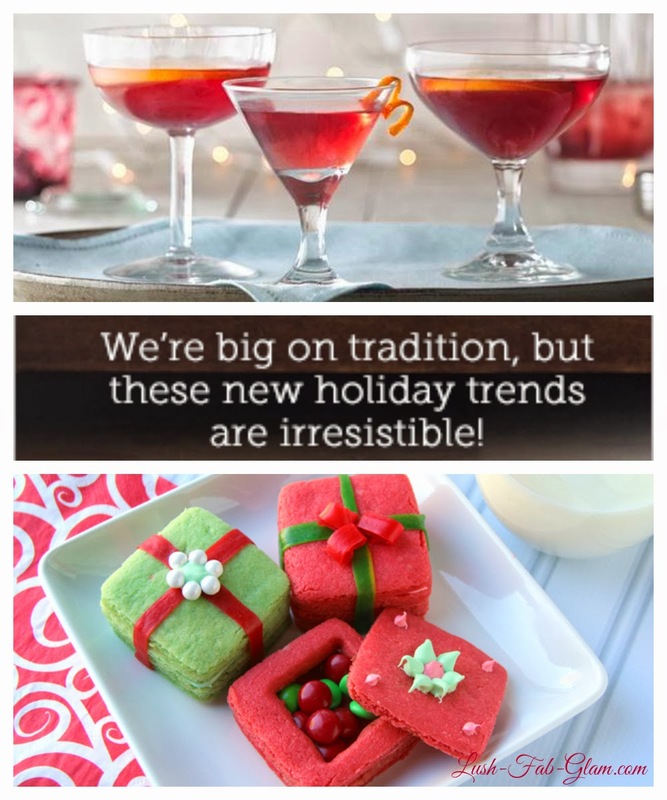 Red Hot Party Recipes + Win A Betty Crocker Gift Kit. Update: This giveaway is now closed. Congratulations to the winners Sharon Bartusek and Kat Rupert! There is nothing like the aroma of freshly baked cookies, a delicious fruit cake or yummy appetizers enveloping your home during the winter season and it's just as savory when you visit friends or family and step out of the frigid cold into their toasty warm homes and you are teased with the sight and scent of assorted pastries and desserts just waiting to be eaten! 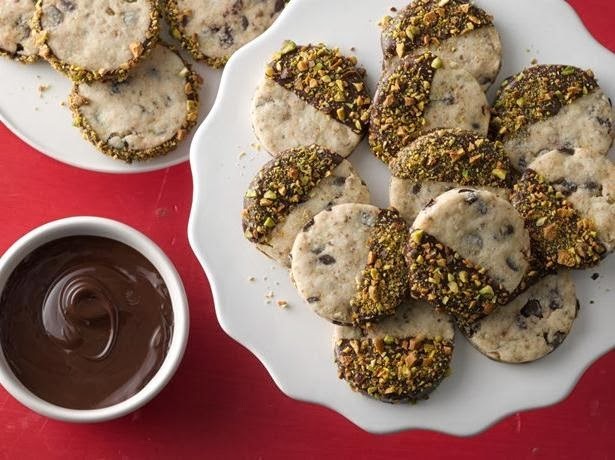 Making these chocolate filled, chocolate covered, sweet as candy and pretty as a flower treats are easier than you think and thanks to Betty Crocker's 2013 Red Hot Trends you can try the trendy takes on your favorites as well as traditional recipes. 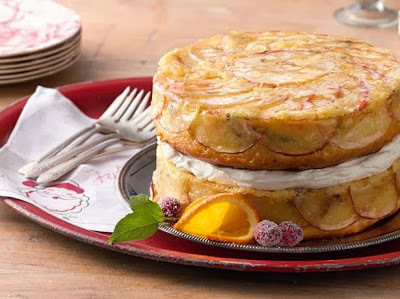 The next time you're having a spur of the moment craving or entertaining guests, whether it's a planned special occasion or an impromptu get together as family, friends and neighbors pop over, try one of Betty Crocker's top 10 Trend Recipes shown below. Read on to see them and to enter the giveaway to win 1 of 2 Betty Baking Kits! A biscuit-shortbread hybrid from France, sablés have been named the cookie of the year in our test kitchens. For a salty-sweet flavor contrast, we added an unusual savory element—Kalamata olives!—and dark chocolate chips. The result? Mind-blowing, melt-in-your mouth goodness. 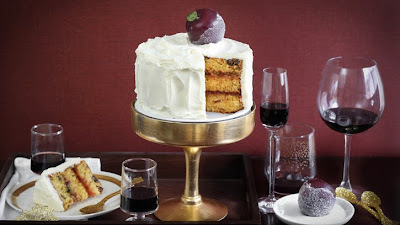 A modern take on a classic, this luscious two-layer cake, studded with whiskey-soaked fruits and filled with sweetened mascarpone, will be the belle of any ball. In search of a fresh party staple? Look no further than our crowd-sized flight of mini cheese balls. 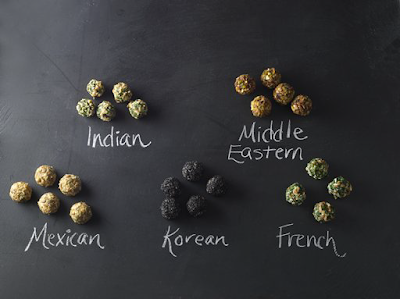 With bases made from both cream cheese and goat cheese, it’s the globally inspired mix-ins that turn these small bites into something truly memorable. From doughnuts to shortcakes, our love for all-American pastries is a year-round affair that never gets old. 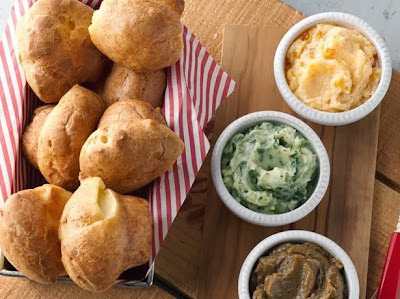 For a quick upgrade to your brunch-bread basket, try these light-as-a-feather popovers, made easy with help from Bisquick. From cupcake toppings to fro-yo mix-ins, bakers and bloggers have been adding popcorn to sweets in quite creative ways. 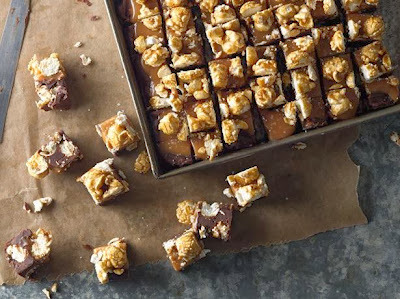 This semi-homemade fudge features store-bought caramel corn, a thick layer of dulce de leche, a generous sprinkling of sea salt and – what else?—more crunchy caramel corn. 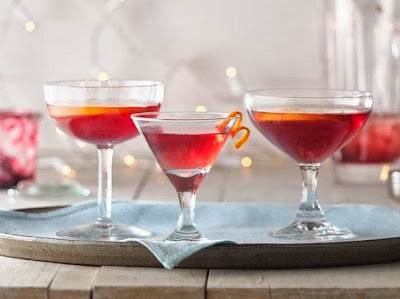 No longer just toast-toppers, jams, jellies and preserves are making a splash in the craft-cocktail scene. For this interpretation of a classic Manhattan, shake up some bourbon, bitters, vermouth and your favorite cherry preserves with some ice, strain… and drink up. 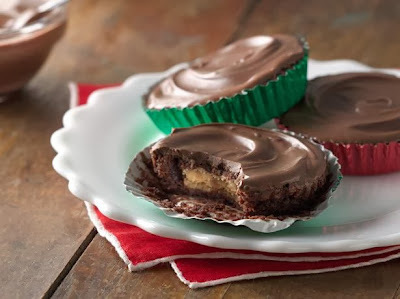 A dead-ringer for our favorite chocolate peanut butter cup, these peanut butter cookie-filled brownies are poised to be the hit of the winter season. Bonus? Made in a big batch, they freeze perfectly. Why settle for one dessert when you can have two? 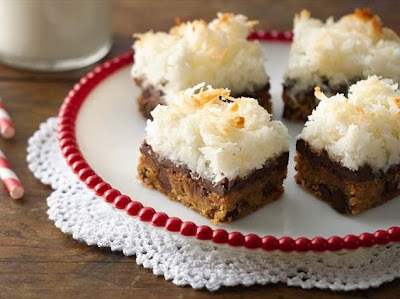 We combined rich blondies with a chewy macaroon topping to create a crowd-pleasing bar that epitomizes a modern dessert mash-up. To us, the best part about party food is enjoying it with loved ones. Ideal for open houses and impromptu gatherings, these fully loaded spicy pull-aparts can be baked in batches as company (or hunger) arrives. 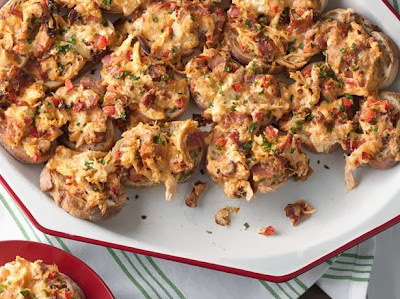 You can get creative and add your own twist to Betty Crocker's Red Hot Recipes like a few baking enthusiasts did, see their delicious twists below! 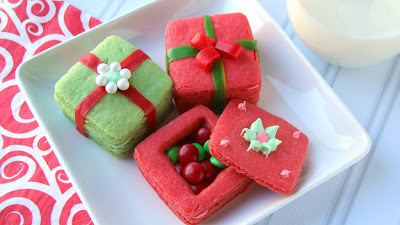 "Make some cherished memories and bake up a batch of these 3-D sugar cookie presents. They're not only adorable, but it's a blast of an activity for kiddos, with endless ways to fill and decorate. "—Corey Valley, Family Fresh Meals. Betty Crocker 'Baking Essentials' Kit Giveaway! We have partnered with Betty Crocker to give you the baking essentials you will need to create your own fabulous recipe! Fill out the form below to enter to win 1 of 2 gift boxes filled with 'Betty’s Baking Essentials' including an oven mitt, mixing spoon, Betty Crocker cookie mixes, cookie cutters and an iPad stand, valued at $30 each! *For more chances to win pin/share the giveaway photo below on Pinterest , twitter and/or facebook with hashtag #lushfabglamgiveaway and you will gain 5 additional entries for each share! Contest Rules: This contest is open to residents in the continental United States and ends on Sunday, December 22nd, 2013 at midnight PST. Only one entry per email address is required. The winner will be randomly selected and notified by email within 3 days of the contest end date at which time you will need to provide a valid shipping address so Betty Crocker can send your Baking Kit. Which Red Hot Betty Crocker Recipe will you try? Share with us by leaving a comment below. 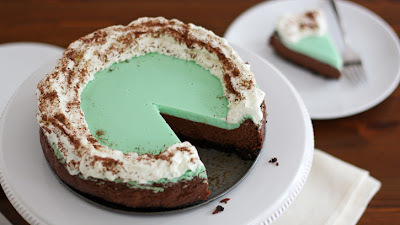 This post and giveaway brought to you by Betty Crocker. All opinions are mine!